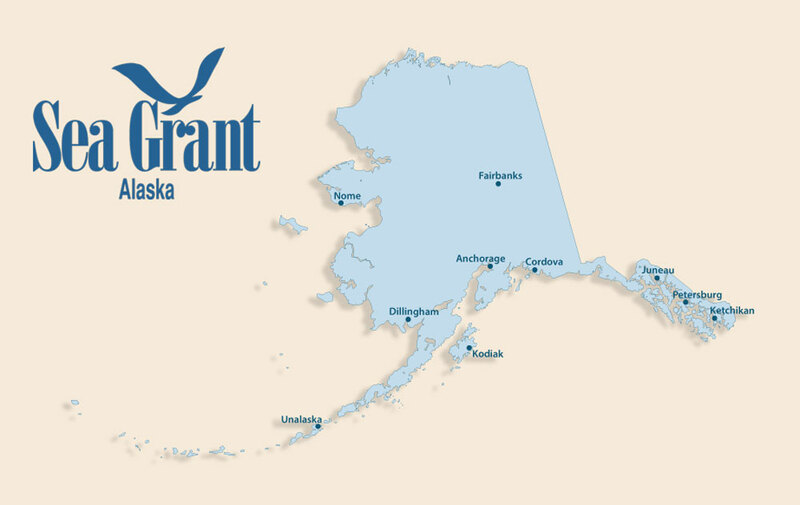 Learn more about the types of funding opportunities and graduate student fellowships available through Alaska Sea Grant. During foraging studies, researchers estimate prey size by comparing it to the size of the otter's paw. Photo courtesy of Randall Davis, Alice Cove Research, USFWS Permit #MA–043219. This project examines the impact of sea otter recolonization on commercial and subsistence fisheries in southern Southeast Alaska by conducting research and informing subsistence and commercial fishermen, wildlife and fisheries managers, and the public on the predicted impacts of sea otter population growth in southern Southeast Alaska on important shellfish and invertebrate species. As the number and range of sea otters in southeast Alaska have grown, so has the level of concern among commercial and subsistence fishermen who harvest clams, crabs, sea urchins and sea cucumbers. Areas previously open to commercial harvest have either been closed by state managers or have been determined by fishermen to no longer hold enough resources to warrant any fishing effort. Subsistence users also report declining crab and shellfish harvests in areas recently recolonized by sea otters. This project brings together students and faculty from the University of Alaska Fairbanks College of Fisheries and Ocean Sciences and wildlife biologists from the U.S. Fish and Wildlife Service to examine the population, distribution, movement, and diet of sea otters in the region. This research aims to improve and maintain successful hatching and rearing wild red and blue king crabs in a large-scale hatchery setting. The goal is to enhance depressed king crab populations throughout Alaska. This partnership between Alaska Sea Grant and state, federal, and stakeholder groups views the effort as important to the region’s long-term economic development and sustainability.